Downshire House cares for adults aged 18-65 years with learning difficulties, autism, challenging behaviour, early onset dementia, epilepsy and other complex needs. 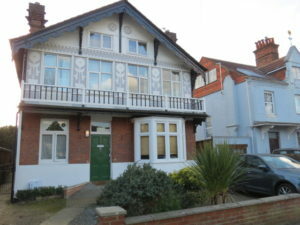 The home is situated in a quiet residential area of Reading. The town centre and several retail parks can be easily accessed from the home. Facilities including a gym, swimming pool, park and a large supermarket are also nearby. The home is well served by public transport, with bus stops and a train station all within walking distance of the home. The home has a spacious lounge and dining area which leads out onto a large garden. The garden consists of a lawn area which is surrounded by flower beds and patio seating. Inside the home, there are six single bedrooms (one of which is ensuite), two first floor bathrooms and one ground floor shower room. At the top floor of the home is a self-contained flat with its own shower room and kitchen-diner. Residents also have access to an activity room and a sensory room. Residents are offered and supported to take part in a wide range of activities including swimming, trampolining, Boccia, day services, horse riding, drumming, karaoke, shopping, walking in the park and watching plays. The home also arranges day trips on a regular basis. Previous day trips have included Longleat Safari Park, Wellington Country Park and Beale Park. Occasions such as resident birthdays, Christmas, Halloween and so on are also actively celebrated within the home. Two vehicles are available to transport service users to any necessary appointments or activities that they wish to partake in.